Kelowna was the final leg of our vacation. 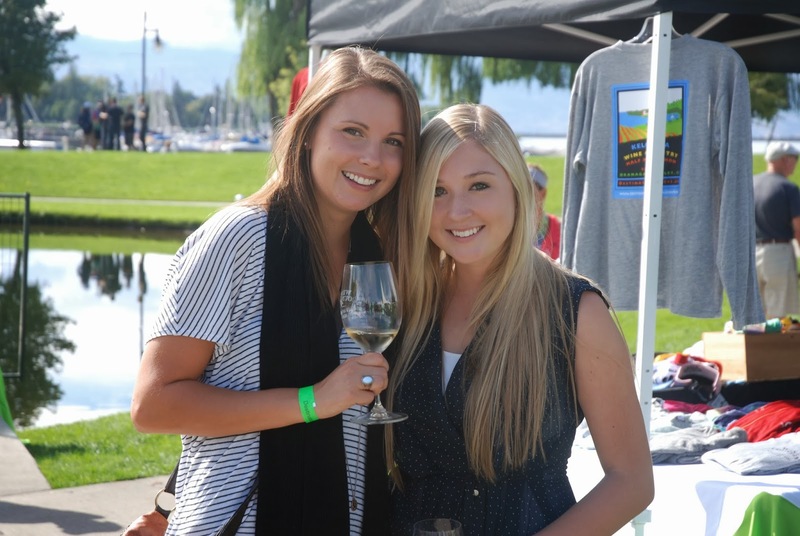 We’d planned to meet up with some friends and run the inaugural Kelowna Wine Country Half Marathon on September 7th. 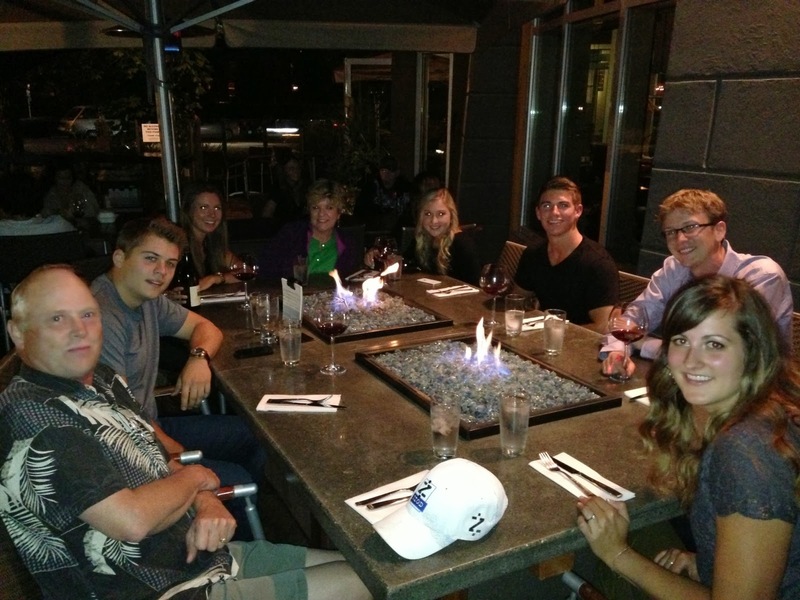 When we’d first signed up for the half marathon, N’s parents, his sister, and her boyfriend booked flights out to Kelowna for that weekend. At the time, I didn’t think much of it since N’s brother also lives in Kelowna. N explained that they thought it would be nice to spend the weekend together as a family vacation of sorts. Race morning, I woke up not feeling so great. I’m sure the ridiculous amount of vacation type food had nothing at all to do with it. Planning to run a half marathon after 10 days of wonderfully rich food and drinks was not my most brilliant plan. We’d eaten more wheat in that week than we probably had all year. I’m sorry, tummy. You were understandably upset. Nonetheless, we grabbed breakfast in the hotel, met up with our friends, and got in line for the bus to the start line. It was a long wait to get on the bus, but we all nervously chatted and jumped around to keep warm. We were the only veteran half marathoners in the group. Their nervous anticipation reminded me of my own before I ran Montreal. We finally got on a bus and made it to the start line with all the other runners. It was by far the smallest race I’ve ever run but our friends’ excitement, coupled with that of it being the inaugural race, was contagious. It was the perfect day for a half marathon too – overcast and cool with a little rain. N and I generally run together for the first 12 km and then he takes off on his own. He’s a faster runner than I am, but I’m better at pacing so I reign him in and he reminds me that it’s supposed to be fun, at least that morning. I had some serious doubts that I was going to finish that race. My stomach was angry and my legs didn’t feel ready for the constant pounding from the huge amount of downhill in the race. In hindsight, he was probably pretty worried with all my talk of not finishing. At 12 km, I was still going though and we parted ways. He reminded me that I didn’t need to run a best time and also mentioned that I should look for his family near the finish. He said his sister had made signs and his mom would have a surprise for us at the end. I was doubtful that his sister would be awake and slightly confused about what his mom would have for us, but I still didn’t think anything was going on. As soon as he left me, things got much worse for my stomach. I started worrying that I really wasn’t going to finish the race and desperately needed to find a washroom. Of course, there were none to be found. I had switched to from 20 min of running and 1 minute of walking to 10 minutes of running. Every time I took a walk break, people encouraged me to keep going. All the people cheering along the half marathon routes are doing such an incredible thing for the runners. I’ve often wondered if I’d have made it through a lot of my races if it weren’t for them! At 15 km, I gave in to my upset tummy and made a pit stop. It was definitely something I should have done earlier since I felt so much better afterwards and the rest of the race was a lot of fun. It finished along the boardwalk so for the final kilometer I could hear the announcer naming the finishers. I heard one of our friends finish and got pretty excited, considerably picking up my pace. I still hadn’t seen anyone from N’s family as I approached the finish line though. A couple hundred meters out, someone unexpected caught my eye, waving a sign with my name on it – my mom. I had no idea she was going to be there so I waved excitedly and then took off for the finish line as fast as I could. She was standing right before the finish line so I didn’t notice much else besides the key to the end of my run. As soon as I crossed I saw N standing at the finish with a rose. He gave it to me and probably said a few other things. I was pretty out of it from my final all out spring and exhaustion from the race itself so I don’t remember exactly what either of us said. I do remember, however, that he asked me if I’d seen the signs. I started telling him that I’d seen my mom holding a sign and had no idea she was going to be there. So I turn around and our families are holding signs that read: Alanna, will you marry me? As I turned back around he got down on one knee and pulled out a ring. I can’t honestly remember what he said besides “will you marry me?”. I’m told I said yes pretty quickly afterwards. Tears, hugs, and laughter followed (on top of a lot of people asking if they could take our picture). It was pretty surreal. It turns out both our families had been in on it the whole time. 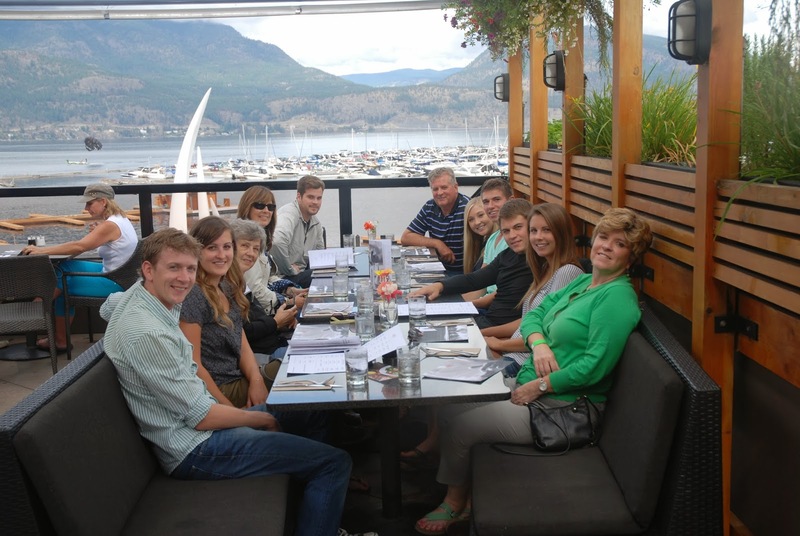 My parents and brother stayed in BC after our friend’s wedding so they could be a part of the proposal and N’s family had planned this weekend trip around it. He’d picked out the ring months earlier and had everything planned out so it would be a total surprise. I’m so impressed that not even a whisper got back to me or any of my friends. I couldn’t have asked for a more thoughful proposal. He totally nailed it. 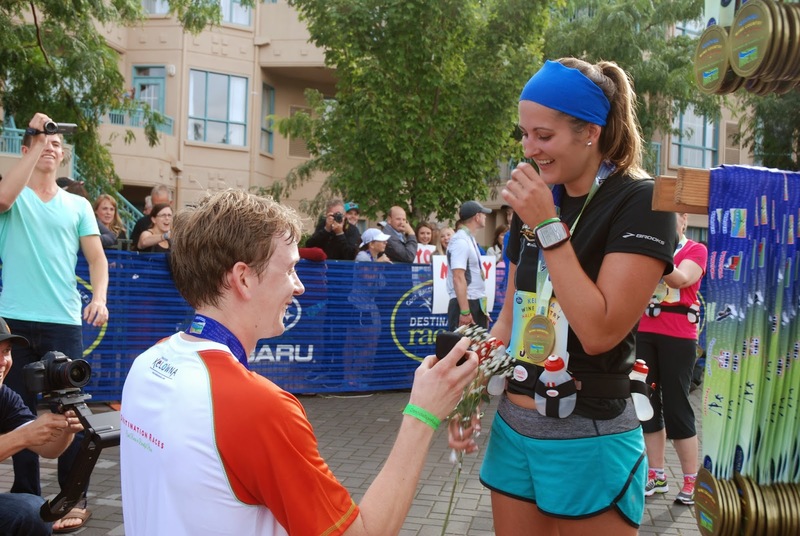 While we waited for another friend to finish, we re-enacted the proposal so the rest of the family could get photos. That’s the photo the wound up on instagram and facebook a few hours later. There was also a wine tasting for the runners so once everyone had finished up the race, we headed over to that. We enjoyed a few samples of wine, took some more pictures, and then headed back to our room to clean up. Both of our families met up at Earl’s for lunch and some drinks. It was nice to talk some more and hear stories from the few months previous: N and his sister picking out the ring, his mom keeping it at their house, N secretly driving out to my parents’ house to ask their permission. There were a lot of great stories. The rest of the weekend involved a lot of great food with N’s family and lots of drinks and toasts and typical Kelowna things. We spent Saturday night celebrating with far too many drinks at Roses’ with his siblings and their boyfriend/girlfriend. It was an amazing weekend.